Darico will be rolling out multiple developments such as its Wallet and Terminal within the next few months. Darico has continued to continue ahead with its landmark project in 2018, which is now in the midst of its initial coin offering (ICO). Looking to solidify its stance as an easy-access gateway for crypto investors, the group has managed to gain traction in the industry, following the successful completion of its pre-ICO late last year. 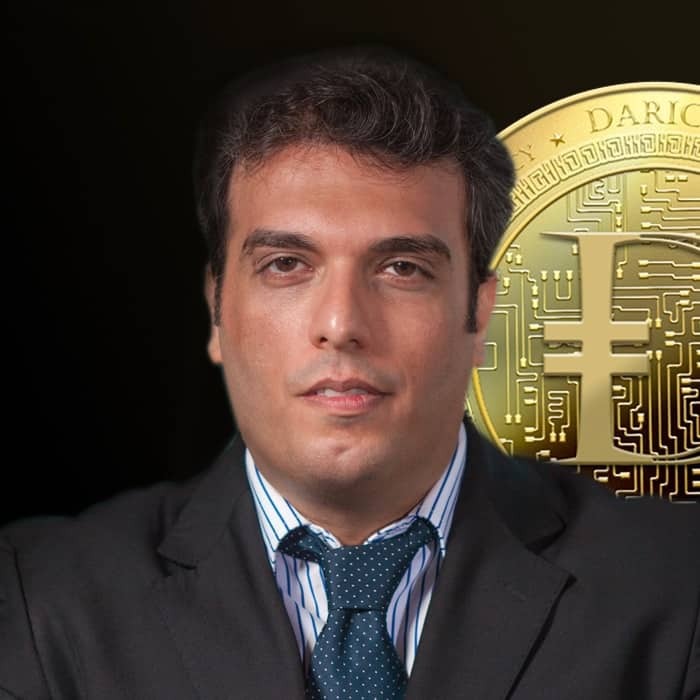 Finance Magnates spoke with Darico’s CEO, Mojtaba Asadian for his perspective on the project, the current trajectory of the ICO, and where Darico is headed moving forward. With a star-studded advisory team in place, Darico looks to gain even more headway in 2018, looking to provide multiple benefits for investors in the growing crypto space. Can you explain the demand or reception so far for Darico during its pre-ICO? We’ve been really pleased with the response to Darico so far. The pre-ICO raised more than $2 million but more than that, it showed us that there’s a real appetite out there for a project that helps crypto investors as they navigate the rather stormy seas of the cryptocurrency world. The pre-ICO period has really spurred us on and now that we’ve launched the ICO, we’re looking forward to growing our already engaged community. Darico represents one of the safer options relative to its peers – what efforts has Darico made to provide improved safety or transparency for investors? At its heart, Darico will provide insight and real-time information that will facilitate easier investment and trading in cryptocurrencies by giving investors a single place where they can find all the tools they need to them make informed investment decisions. We’ve already built a thriving community on platforms like Telegram and pride ourselves on our responsiveness. My colleague Liwaa Chehayeb and his team work tirelessly to keep people informed of the latest developments at Darico and we fully intend to continue forging strong relations with our very supportive community. More formally, we’ve published a very clear two-year roadmap that outlines our aims and while it’s possible that circumstances mean changes may have to be made, we will always announce these to the Darico community along with explanations as to why. What can investors expect long-term from Darico coins? Do you foresee any risks to the broader crypto ecosystem? The level of risk in any investment environment depends on a wide range of factors – from the geo-political all the way down to personal matters such as time horizons. There’s no doubt that the crypto ecosystem requires a greater risk appetite than conventional financial markets but that’s one reason why we’ve created Darico. We want to cast light into all corners of the crypto environment to help people make better informed assessments of the risks involved. Darico itself, has been designed to minimize risk as much as possible. The Liquidity Pool is an innovative way of ensuring DRC always has liquidity and they will also work to minimize DRC’s volatility. Of course, we believe Darico will perform well for DRC holders. The Darico Ecosystem is a great idea and our aim is for it to become the number one, most trusted source of information for crypto investors. When all of the ecosystem’s component parts are in place, Darico will become the single best place for crypto investment information because investors will have access to real-time news and analysis via the terminal; they’ll be able to make payments via their wallet, trade through the exchange or invest in the index fund. Darico recently introduced its digital wallet – can you touch on its benefits and how it helps users? The Darico terminal will ultimately be the heart of the Darico ecosystem but the wallet is the first step in our development. It’s a vital element because it enables crypto investors to hold all of their ERC-20 tokens securely and in one place. Importantly, the wallet will store the holder’s DRC and DRX tokens and will include a mining clock to show them in real-time, exactly how many DRC have been mined. If they hold the Genesis Account tokens, DRX, they’ll be able to use the wallet to claim their newly mined DRC coins. The wallet will also include features such as in-app messaging, portfolio building tools and we plan to add Bitcoin and access to other wallets soon. Has Darico on-boarded any new advisors to its project recently? In the brave new world of cryptocurrencies, experience is the most valuable asset and we’re delighted to have developed an impressive Board of Advisers who are guiding us along the road ahead. Most recently, we’ve welcomed a number of incredibly successful technology investors, entrepreneurs and legal experts onto our Advisory Board including, tech investor David Drake, technology reporter Simon Cocking, entrepreneur Jason Hung and experienced lawyer Mark X. Ellul. It’s hard to express just how important their roles as advisers are. Not only will they help guide us through a successful ICO but they’ll provide advice on matters such as regulatory compliance, marketing and communication, community building and corporate governance. What other developments does Darico have in the pipeline for its innovative ecosystem 2018? Darico Card, etc.? After the Wallet, we will launch the Darico Terminal. That’s scheduled to be completed by the end of Q2. The Terminal will be the heart of the Darico ecosystem, providing users with up to the minute news, analyses, charts and features that will help them gain a firm understanding of the crypto environment. In the second half of this year, we plan to launch a Darico Debit Card which will play a key role in helping DRC holders use their holdings in everyday life. The enormous value of Bitcoin has made it difficult for BTC holders to transact in an ordinary way. Our hope is that the debit card will bring DRC into the real, everyday world. By the close of the year, we expect to have launched the Darico Exchange and the Index Fund. The exchange is crucial because it will give DRC holders easy access to a crypto trading environment. What are the biggest challenges for groups looking to launch ICOs in 2018? I think the single biggest challenge is going to be ICO fatigue. More than 1000 ICOs were launched last year and I’m sure just as many, if not more, will appear in 2018. In such a crowded market place, it can be difficult to cut through and make your own mark, particularly because investors are likely to grow tired of hearing the competing claims to be the next big thing. Darico itself, will help investors sort through the crowd and identify the best offerings because, regardless of the scale of the ICO environment, you can guarantee that there will be some truly excellent businesses looking to raise funds this year.